Having an online store is an amazing way to indulge your passion while earning money and creating a business that isn’t restricted to the old conventional (aka now boring) physical confines of four walls. With new exciting technological advancements made every day, there are a vast number of capabilities and platforms that can help you manage your online business in a matter of a few clicks. We have taken the time to outline for you top tools that we know will kick out traditional methods and boost your ecommerce business further. Let’s get into it. Starting with the most important tool; a shopping platform can single-handedly determine whether your ecommerce business succeeds or fails. This is why it’s crucial that you pick the perfect platform and that is certainly Shopify. This advanced tool allows you to create an online shop along with a custom domain name regardless of what kind of store you have. 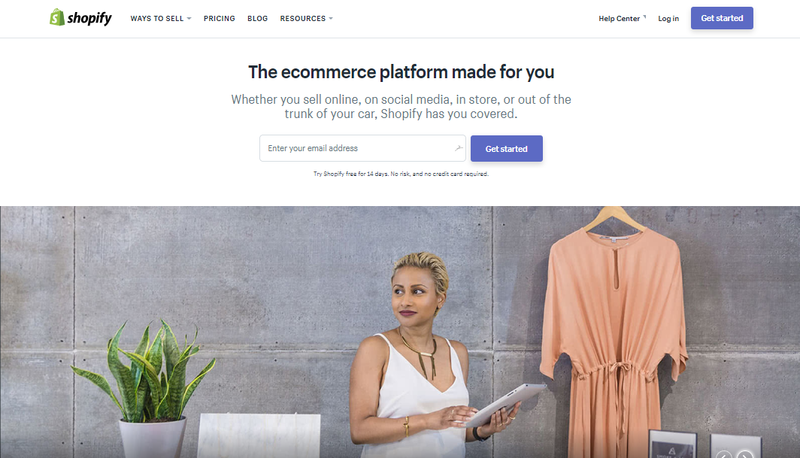 Used by many retailers all over the world, Shopify enables you to run your store without any prior coding experience and has themes that you can choose from to personalize your store. Additionally, its dashboard boasts of ease of usability and can have you set up and ready to go in no time. Granted, there are a lot of other ecommerce platforms such as WooCommerce, Magento and Volusion that share the same capabilities so what makes our top pick unique? Integration. A great and reliable payment processor is significant because firstly, your users’ financial data needs to be 100% secure. A solid payment processing infrastructure ensures that there are no leaks in the system that will jeopardize your consumer’s confidential information. Secondly, the fee paid to your payment processor should be reasonable enough so that it doesn’t weigh heavily into your margins. While Shopify and other ecommerce platforms have integrated services, other online stores will need a third-party payment gateway in the event that the website provider does not have a plugin available for that. PayFast is highly rated from a security perspective and has fraud protection mechanisms that protect against chargeback. It also has no setup fees or monthly subscriptions and instead charges per-transaction. Google Analytics gives insight regarding the activities taking place on your online store. They reveal which pages on your website are the most visited; how your audience accesses your domain; their demographics that include age, gender, interests, behaviour & language; product performance; sales performance; and specific transactions that occur. When installing the Google Analytics code, configure it in a manner that will help you gather helpful data. This tool cannot track events and goals out of the box and will not be able to track the number of times a user clicks on a specific button, for instance. Additional tracking implementation has to be carried out in order to make sure that data is firing. Product Page view, Add To Cart and Purchase are standard events or goals to always ensure that you are tracking. Do not hard-code these events into your website. Instead set up “triggers” that will fire these said goals in Google Tag Manager. This will lessen any constant need for developers. While we’re still on the tag manager topic, please note that it’s mandatory to have one. Placing code on your website for Google Tag Manager permits you to keep up with marketing or tracking related requests without having to get a developer involved. When wanting to create a Google Analytics event for when users click on the “Add To Cart” button. When needing to fire a Facebook Conversion Pixel on the “Purchase” event. When wanting to a fire a Google AdWords Remarketing pixel in the event that a user visits a product page but does not actually complete the purchase. Adding tags and events all happens within a few clicks and you’re able to preview and test everything using the debug feature. 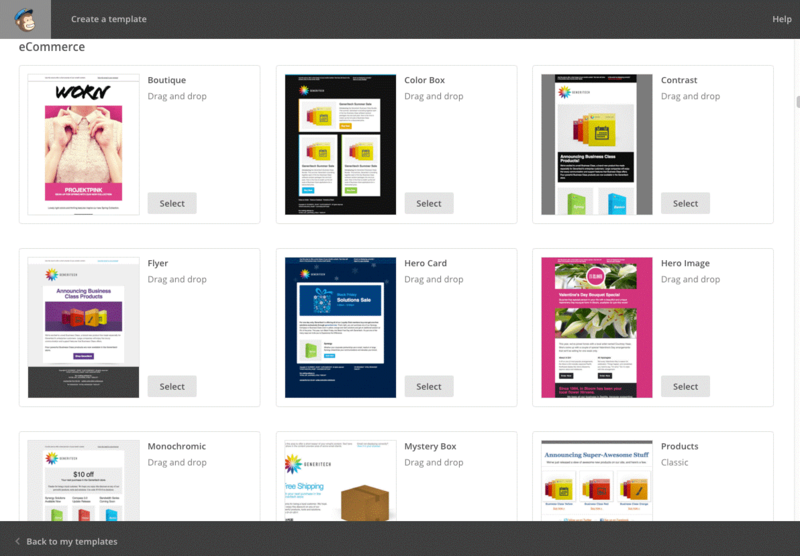 Google Tag Manager is free, user-friendly and gifts you almost everything that you would have to pay for when using other tools. High conversion rates are meant to be every website’s main goal, regardless of the fact that it’s an ecommerce business or not. Visitors that leave your website without completing the desired action such as downloading a recipe, signing up for a newsletter or booking a spa appointment does not equate to profit nor is it good news at all. Marketizator is a tool that assists in this and helps grow your conversions in a way that also returns healthy financial gains & quality traffic. With this tool, you’re able to carry out A/B tests to zero in on the best layout options for your landing pages. It also allows you to personalize your site content with triggered messages based on the user’s behaviour on the website. Your funnel will not change if you don’t change user experience on your website. The precise communication it implements with audience segmentation ensures that there is no spillage in your message and marketing spends. So now that your store is set up and you have the right tool to grow your conversions, the next step is to reach out to your existing and potential customers. Email marketing is ideal when it comes to boosting your business because you’re dealing with people that are willing and are anticipating contact from you. It mainly involves offering an option where your customers can fill in their email addresses, so they can receive well-designed and interesting email newsletters concerning latest offers, promotions and any enticing bait that will prompt them to return for more. MailChimp is definitely the recommended and widely popular tool for your Customer Relationship Management. It combines email signup form creation, easy designing and actual sending into one platform. MailChimp seamlessly integrates with our tool #1, Shopify, enabling you to capture detailed purchase data from your consumers that you can use to create personalized campaigns and automation workflows. When it comes to social media channels, it assimilates well with Facebook and Instagram advertising, affording you the opportunity to reconnect with your audience on those very platforms. Poor shipping policies have been a major challenge and inconvenience in the ecommerce world. They take form in issues such as high shipping costs, long shipping delays or at times express themselves through hidden costs that come as a surprise to users only right at the end of a transaction. This is an opportunity for your business to then offer cheap, quick and reliable shipping alternatives; a step that will make your customers a high priority and in return place your online store as a sought-after service & product provider. Ecommerce sellers are afforded shipping rates that are much lower than retail rates because of the bulk quantities that are processed via Shippo’s platforms. This shipping tool allows you to print your own shipping labels for each package and permits you to track them in real time too. An online store needs to have an online presence on social media too. However, keeping up with social network updates while managing orders, updating price lists, contacting suppliers and shipping orders can get a bit tedious and overwhelming. So let Hootsuite take care of that. Hootsuite is a social media management platform that has a dashboard and supports social network integrations for Facebook, Twitter, Instagram, Pinterest, LinkedIn and Google+. Through it, you can manage, create and schedule posts to go out on the various said social media accounts in just a few clicks. This tool also helps you track social media activity within your accounts and reveals data on post engagement, insights and analytics. If you’re looking to take your ecommerce business to soaring heights, these are definitely the next 8 tools that should be on your to-do list (We’ll try find another tool to automate to-do lists for you as well). Through these platforms, you’ll be able to manage your online store better, grow your conversions and achieve greater returns & profit. Next, learn about Digital Marketing Strategies That Actually Work!